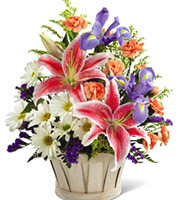 Looking for a great Elmhurst, IL florist? Phillip's Flowers has ten award-winning family-owned flower shops serving Elmhurst and all surrounding communities with same-day and next-day local flower delivery plus worldwide flowers-by-wire. Satisfaction guaranteed. Since 1923. 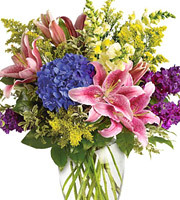 For flowers in Elmhurst and all surrounding communities, trust Phillip's Flowers & Gifts, your family-owned, full-service, local florist serving Elmhurst, Addison, Villa Park, Bensenville, Berkeley, Hillside, Northlake, Oakbrook Terrace, Wood Dale, and all nearby towns for more than 85 years. Located in the Spring Road shopping district, our Elmhurst, IL flower shop specializes in premium roses, take-with bouquets, beautiful fresh flower arrangements, custom wedding flowers and event decor, exceptional funeral flowers tributes, and indoor plant gifts, too. It's a quaint, local flower shop renowned for quality, value, and friendly service. And, with nine other award-winning Chicagoland locations, we deliver to the city and over 150 suburbs daily. An Illinois Merchant of the Year and top FTD and Teleflora florist, we work closely with Elmhurst Memorial Hospital, Elmhurst College, and all area hotel and banquet venues. Regular flower delivery service is also available to Ahlgrim and Sons Funeral Home, Gibbons Funeral Home, and Pedersen-Ryberg, Humes, Richert and Meyer, Brust, Steuerle, and Villa Park funeral homes. So, for beautiful fresh flowers and plants delivered in zip codes 60126, 60101, 60105, 60106, 60162, 60163, 60164, 60181, 60191, 60339, or virtually anywhere Chicagowide, call, visit, or order online today. Phillip's is one of the leading nationwide florists too, with same-day and next-day flower delivery throughout the 50 U.S. states and Canada via two computerized networks of more than 20,000 florists. 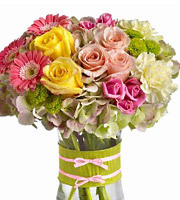 So, you can shop online and send flowers with confidence almost anywhere.. Choose from beautiful roses, fresh flower arrangements, indoor plants, and gift baskets. They're all individually designed and locally delivered by real florists who care. You'll find birthday flowers, anniversary flowers, thank you gifts, new baby flowers, get well flowers, and funeral flowers, too. Order online or by phone. Either way is fast, fresh, and guaranteed. 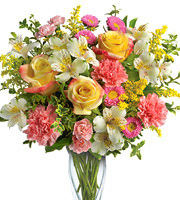 And, for florist delivery in other countries, see our international flowers, selections. For additional information or assistance, dial 1-800-356-7257, call 630-832-7161 in Downers Grove, IL or visit us at 526 Spring Rd, Elmhurst, IL 60126. We look forward to serving you in anyway we can.